Are you ready to give up your quest on finding "the one?" Author Dalia Franco can relate. 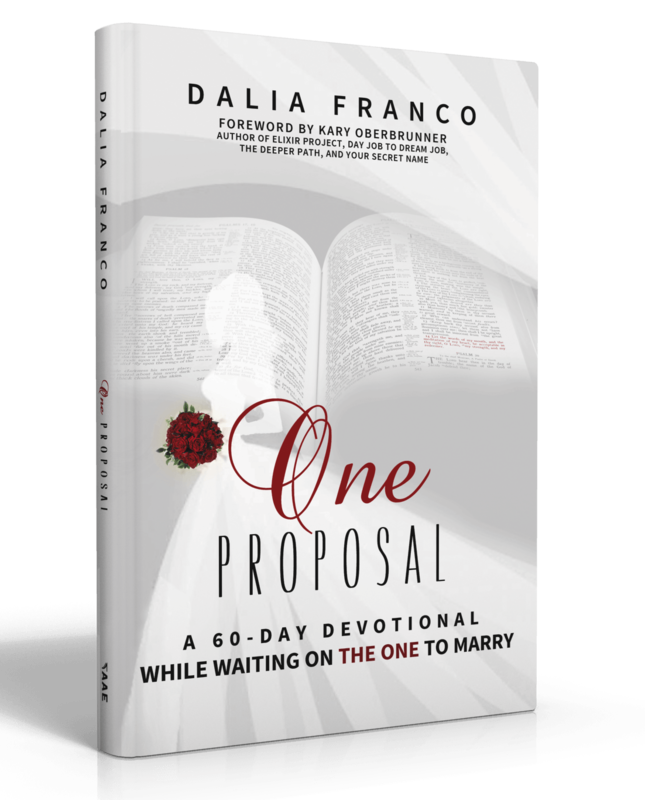 In One Proposal she candidly shares failed attempts to find the one and a glimpse into the arduous process of believing God for your spouse when even the possibility of marriage is looking more and more unlikely. She understands how it feels to pray for your mate without receiving a clear answer. Still, in spite of these unfulfilled desires Dalia has found a powerful process that has brought peace and joy. Throughout this handbook of hope you'll gain a newfound perspective on this season of life, and as you study the Word you will go from hopeless to hopeful, from desperation to peace. And one day, too, you will have your own love story to share. 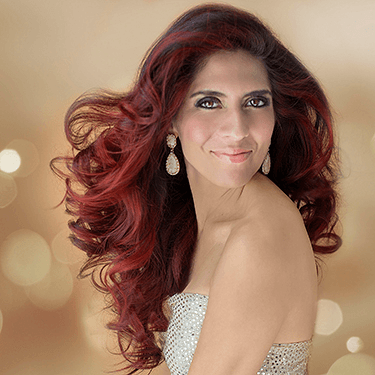 Dalia is an author, speaker and teacher who helps single women discover that they can be fully dependent on God so that they can live with purpose, peace and integrity. Connect with Dalia at DaliaFranco.com or on Facebook.